Happy Friday! I’ve been slacking on my Friday loves, so I have a lot to catch up on. Let’s get to it. When we saw Trolls in the theater, we got to see the preview for the new Lego Batman movie. We’ve since watched the trailer several times and are all so excited to see it in February. There are 20 minifigures that go with the movie, which are all so cute. I am pretty sure vacation Batman is my favorite. Speaking of Batman, the kids love to sing the Batman version of Jingle Bells, so I was excited to find this free Batman smells printable from recipe for crazy to go with our Christmas decor. 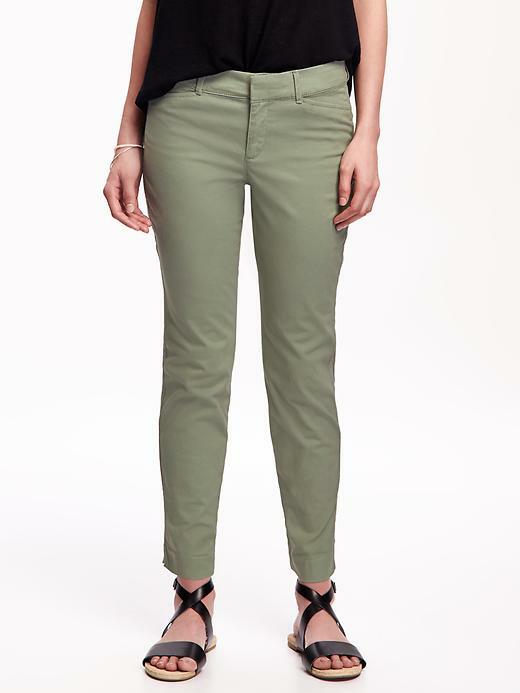 I picked up a couple pairs of the new Old Navy Pixie Chino pants and I love them! I think I have previously shared my love for the Old Navy Pixie pants, but I like the chinos even more. They are not as tight or stretchy as the regular pixie and they are great for work. I have Gray Stone and Cool Sage Green. Michelle and I frequently discuss how we are still so emotionally involved with Grey’s Anatomy. I know a lot of people don’t watch it anymore, but I just can’t seem to quit it. She sent me this article and it made me want to go back at watch every single one of these heart wrenching episodes. Why do I love this show so much?! I have been doing majority of my Christmas shopping online and I am loving Ebates! I know I’ve mentioned this one before too, but if you haven’t signed up for Ebates, you are missing out. You get cash back for shopping online. It’s seriously that simple. I use the handy Google Chrome extension so it reminds me to activate my Ebates when I’m shopping. Of course, I am loving all things Christmas right now! We’ve had so much fun with our advent calendar activities, including building a gingerbread house and making reindeer chow this week. The kids also have the Lego City and Lego Friends advent calendars, so they have loved building Legos each morning. We are looking forward to more Christmas fun the next few weeks! Don’t forget to check out what Misha is loving this week. What are you loving?! We are also Grey’a fans and still hanging in after all of these years! And I cry so much when that show is on!